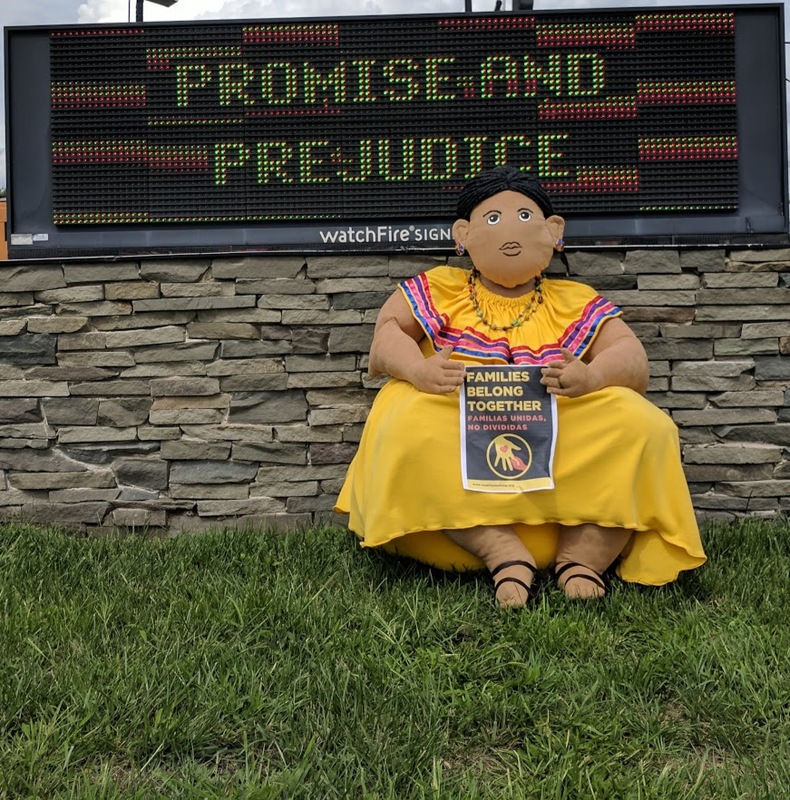 The unveiling of the grandmothers was to be at an annual Latino Festival in my home state of Iowa. After being part of the parade, the grandmothers would be available during the day-long activities to receive the good wishes of all those in attendance. The written greetings would then be taken to the people serving those who had been separated by the detention centers. The float and other materials were colorful, educational, symbolic, and full of subtle meanings of peace and wholeness. This community send-off was not to be however, as the annual festival was cancelled less than two days before the event was set to take place. The reason for the cancellation—multiple, violent threats against the Latino community had been received. Some media reported the festival was cancelled for another reason, but I went to the festival’s leadership and asked directly. Credible threats had been received, and the people in charge did not want to put children in harm’s way so they cancelled the festival. I then went to law enforcement and asked if they and the county prosecutor would arrest and charge those making threats of violence. I was assured they would but was told law enforcement had not been directly notified of the threatening behavior. Despite the evidence, despite the outcome, no one was willing to call the threats “racism”. The bullies won and there was no celebration that day. Why do you think those targeted don’t always go to law enforcement? What emotion does the above story bring to the front of your consciousness? Why?